If you haven't been hiding under a rock for ten years you're aware of the yoga phenomenon. 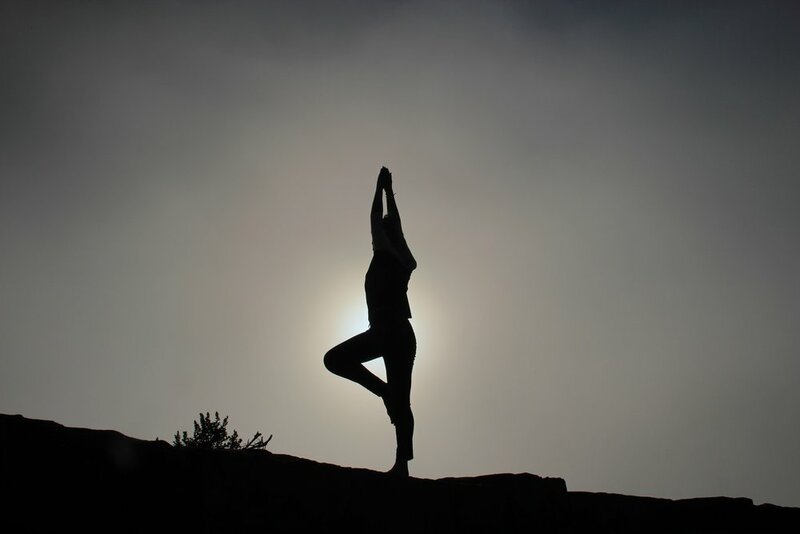 Famously popular among health conscious men and women, yoga is more then just a fitness sensation. Everyone from NFL players to CEOs is practicing yoga to improve mental and physical well being. These are some extreme examples of how even those with the most demanding of lifestyles can benefit from changing their focus from the stress of competition to a more productive focus on self-mastery that is demanded by yoga. Although some may be attracted to yoga to cultivate greater strength and flexibility, many maintain their practice because yoga positively impacts the way they perceive and interact with the world. Most yoga instruction begins with a call to reflect on the intention of the day's practice. It may focus on bodily sensations as muscles contract and release or on how breathing impacts performance. Though some may not even know it, these activities serve the important function of increasing mindfulness during practice. Mindfulness, an intentional way of paying attention that can help you cope with the challenges of everyday life, has been proven in study after study to have many benefits and applications. As the yoga student improves, mindfulness carries over into other aspects of life. Yoga is an excellent form of self-maintenance and care. Its ancient traditions serve not only to tone and strengthen the body, but the mind as well. As a yoga student becomes more mindful, awareness of the relationships between thoughts, emotions, actions, and environment is enhanced. Negative patterns and influences tend to be abandoned in favor of habits and practices that improve health and well-being. Research on yoga has demonstrated its ability to aid in lowering blood pressure, relieve back pain, and lower stress. In a study of prisoners in Illinois, researchers found that tests designed to measure impulsivity and attention were answered with greater accuracy by inmates after attending 10 weeks of yoga instruction. Researchers from UCLA found that meditation from yoga can help lower depression in caregivers and may even increase cognitive functioning. In fact, cellular aging was shown to be slowed in association with meditation because it reduced the release of destructive hormones which are triggered by stress. That's right, yoga and meditation are not just associated with better health, they may even keep you young. Why does yoga work so powerfully on the brain? To borrow a cheesy neuroscience joke: “The neurons that fire together, wire together.” Research has demonstrated time and again that the brain has the ability to rewire itself in response to experiences, a concept known as neuroplasticity. This means the brain is changing with every moment of experience, adapting and altering the ways that we relate to our own minds, bodies, environments, and other people. This gives everyone the potential to harness our knowledge of the brain to force positive changes by choosing experiences that increase our capacity for learning, coping, and processing. Mindfulness, meditation, and yoga are like exercise for your brain that can make it faster, stronger, and happier.